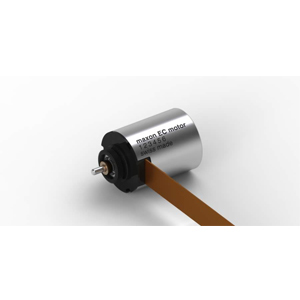 maxon Brushless EC 9.2 Flat Motor - maxon precision motors, inc.
maxon motor launches its flat motor measuring Ø10 x 12.5 mm offering a high nominal torque of up to 0.83 mNm and a stall torque of up to 1.29 mNm. Its outer diameter of 10 mm includes a protective cover that serves as protection against contact and as mounting aid during installation of the motor. It is equipped with an 8-pole Neodymium permanent magnet and preloaded ball bearings. An ideal motor drive for medical technology applications where space limitations may be a concern. Other features include high nominal torque and lifespan-optimized bearings. Also available with or without Hall sensors.